Following the dissolution of 15% of its staff earlier this year, BuzzFeed is outlining its plans for long-term survival, as outlined by CEO Jonah Peretti in a memo posted to the site on Friday and his keynote address at SXSW in Austin. Per his memo, BuzzFeed is prepping for the future with a multipronged approach: publishing across social-media platforms, creating high-quality content at low cost and focusing on in-house developed revenue streams. During the CEO’s keynote address at SXSW last week, he told the audience BuzzFeed made $100 million last year from revenue sources that didn’t yet exist two years ago. Some of the sources Peretti referenced included proprietary ad products and the company’s food brand Tasty, which counts 100 million fans on Facebook, the biggest media brand on that platform. “Almost all of its revenue comes from businesses we’ve needed to create on our own,” he wrote. Some of the products built around Tasty include product placements, Tasty ice cream and cookware, a creators program and produced shows. Peretti outlined other areas where BuzzFeed expects to bring in more revenue. 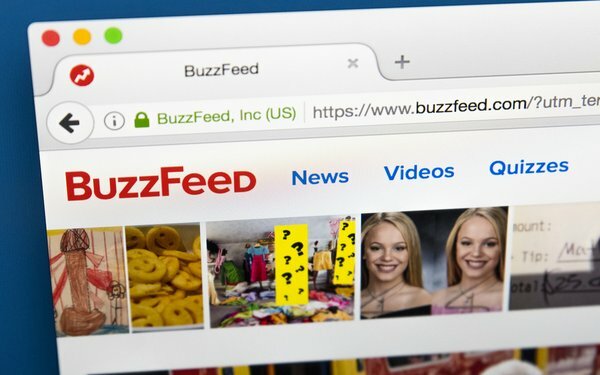 According to the memo, BuzzFeed is also exploring new ways to work with advertisers across its original series and news programming. “The big tech platforms are important, but having websites and apps is a big source of our strength and making them the best place to experience BuzzFeed is a strategic imperative for us,” Peretti wrote. In Q1 2018, BuzzFeed made around $500,000 in video platform revenue from Facebook. By Q4 of that same year, it made $3 million. BuzzFeed monetized less than 30% of views on YouTube in January of 2017, but by November 2017, was monetizing 70%. Peretti stated that BuzzFeed’s overall revenue garnered from the four platforms mentioned above has grown 12x since 2014.